HOUSTON, APRIL 4, 2017 – Sentai Filmworks is proud to announce the North American release of Kyoto Animation’s Beyond the Boundary films to home video. Both parts of the 2015 theatrical saga, Beyond the Boundary -I'LL BE HERE-: Past and Beyond the Boundary -I'LL BE HERE-: Future, will be released in the summer of 2017 on DVD and Blu-ray. The first movie, Beyond the Boundary -I'LL BE HERE-: Past, is a re-telling of the original 2013 anime series, recounting the events surrounding bespectacled beauty Mirai Kuriyama and an immortal, half-human boy named Akihito Kanbara. As a Spirit World warrior, Mirai uses the rare gift (and curse) that is using her blood as a weapon to slay supernatural monsters known as youmu. The second film, Beyond the Boundary -I'LL BE HERE-: Future, occurs one year after the events of the original series. Mirai has lost her memories, and Akihito separates himself from her in an attempt to protect her from her painful past. 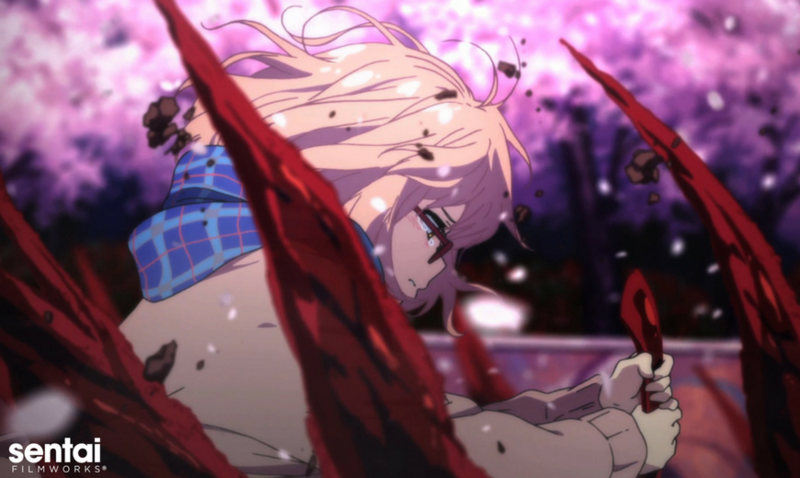 Despite the heartache it brings him, Akihito is determined to protect Mirai's happiness as she moves through life as a normal human being - but when dark forces stir, she may be forced back to the front lines in the fight against the youmu, and re-open the wounds of her past.